As firms finalize accounting of last year’s performance, sort through bonuses and deliver employee reviews, partners are turning their sights to this year’s revenue bogey. Many are wondering where the revenue is going to come from and turning to their marketing departments for a magic bullet. Now is a good time to determine if your firm will be executing an effective marketing strategy or checking off to-dos on a marketing calendar. Conceptually, you know the difference, but do you really know which one your teams are depending on to drive the growth of your firm? An effective marketing strategy makes strategic choices and allocates resources to the growth initiatives’ highest potential ROI. A marketing calendar chronicles items on a practice leader’s budget wish list. 1. What are our top 3 growth priorities? If you and your leaders can answer each question and have consensus, you have prioritized and gained consensus about how the firm will drive growth. This is a foundational step of having a marketing strategy in place. If you cannot answer these questions, you and your team probably have a marketing calendar and have not made hard choices about where to invest. With limited resources and a very crowded marketplace, you have to prioritize. It is important to take the time to build consensus on your firm’s strategic direction. Decentralizing growth responsibility can lead to turf wars, emotional upheaval, suboptimal ROI and confusion among your prospects. Practice size and power are not the sole criteria for resource allocation. Take the time to set firm-wide priorities and stick to them. 2. Who are our ideal client and the buyer within the client? If you can answer Question 2 collectively, then you have clarity on who your marketing strategy is trying to connect to your firm and partners. You understand the value you offer and the buyers within client firms who value it. You are not wasting time and resources chasing opportunities that do not align. If you cannot answer Question 2, your marketing team is probably using a “spray and pray” marketing calendar approach. As they say, “Hope is not a strategy.” Most firms either identify a company size (revenue or employees) and industry or create some “personas” and think that they have intelligently segmented the market. For example, they want to work with mid-sized commercial real estate firms or metropolitan car dealers. While this type of segmentation is better than none, it leaves a gaping hole for a marketing team to demonstrate the firm’s differentiated value. When your competition is attacking you from below and from above, you have to get more specific. 3. What are the objectives for growth opportunity? Increase market share or net new client number? If you have shared SMART business objectives for each priority AND the team is all pulling in the same direction, you have the foundation for a more strategic marketing approach. You get the behaviors you reward. 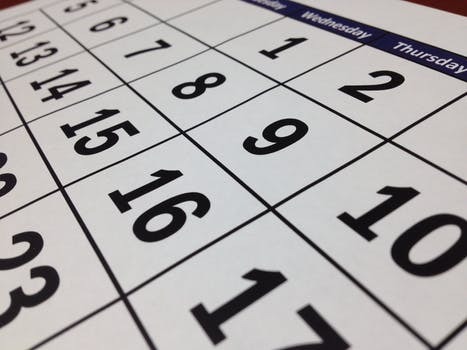 If you cannot articulate SMART business objectives and are primarily measuring tactical performance like events held, emails sent and website clicks, you are probably using a marketing calendar approach. Aligning performance measures around revenue requires your marketers and business developers to relentlessly keep learning and modifying approaches to reach the goal. They do not stop when everything on the “list” is checked. 4. What is our approach to driving revenue? If you understand why you have chosen a particular approach to revenue generation, then you probably have an effective marketing strategy. If you cannot articulate your top revenue-driving approach or you named three or four approaches, then you either have limitless resources or you do not fully understand how your best market opportunities, core capabilities, and brand’s relevance align. You may be spending money building awareness of your brand where a phone call will do. Or, you are under-investing in areas that may pay off handsomely if your ideal client were familiar with the value you that you offered. Firms are tempted to spread marketing dollars across all four areas because they are all important. Unfortunately, firms don’t have the resources or capacity to do all of them. 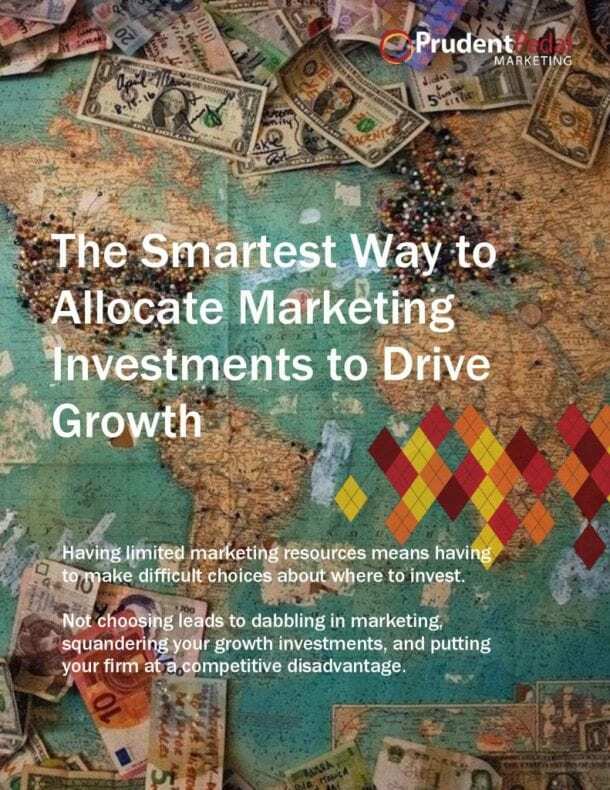 You have to make hard choices about growth opportunities, marketing’s role in achieving them and what type of marketing structure is optimal for your firm. 5. Why have we allocated our marketing investment to the marketing mix that we have? If your thought leadership agenda is designed to build brand relevance in the highest growth areas and you can demonstrate the ROI of each marketing channel in your mix, you clearly have a marketing strategy. You are well on your way to hitting your numbers! If your answers include things like “All of our competitors are there” or “We need a presence on Facebook because social media is hot” or “It is part of our content strategy,” then chances are very high that you are checking items off a calendar. Ubiquity does not equal effectiveness. Too many channels can become unmanageable. More important, just because a channel is free, easy and trendy does not mean that it is effective in reaching your ideal client. You cannot manage a deep and effective relationship in industry associations if you target 15 of them. Invest only in those channels that you know work, and avoid those that clearly do not work. What are our top 3 growth priorities? Who are our ideal client and the buyer within the client? What are the objectives for each? What is our approach to driving revenue? Why have we allocated our marketing investment to the marketing mix that we have? Marketing, brand relevance, and relationships are long-term endeavors. Don’t be fooled by fads, shortcuts and frantic activity. Think beyond this year’s calendar. Your guide to a more intelligent and effective way to allocate your precious marketing dollars.